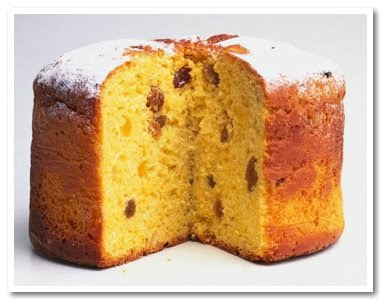 Panettone is a traditional Italian bread that is most prevalent during Christmas and Easter. My mother's kitchen always emitted the beautiful aroma of this bread before these holidays and she would make them to give away as gifts to friends and neighbors. Here is my favourite recipe for the breadmaker. Mix 1 tbsp of the flour with raisins, candied peel and citron. Add milk, eggs, butter, anise, sugar, salt, orange and lemon peels in bread machine pan or proceed as per manufacturer's instructions. Turn on machine and set to normal/basic bread setting, choosing light colour setting if available. Sprinkl reserved fruit mixture into machine when fruit alarm sounds or just as second kneading is ending. Makes one 1 1/2 lb. loaf.